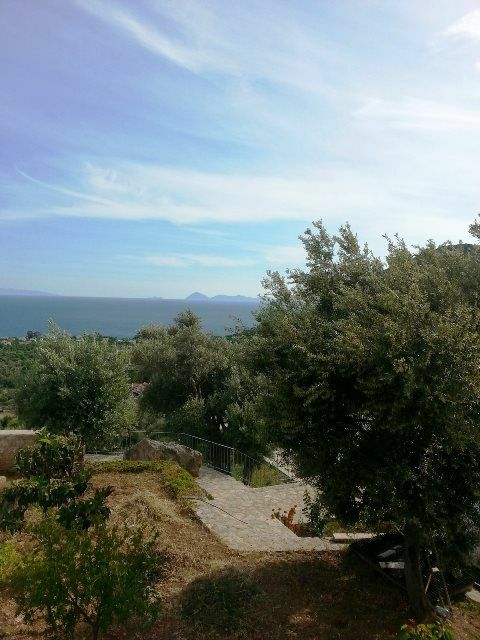 Impressive Datca private villa 6 bedrooms full sea views . Turkey Property for sale Datca . This private spacious villa is a rare opportunity with wonderful panoramic island and sea views surrounded by beautiful countryside views . A detached Property with extenisve land , the gardens are mature with fruit and olive trees . Two closed car garages and ample drive way . The Property is circled with high stone walls and private entrance . Separate guest accommodation with small kitchen , lounge , bedroom and bathroom .